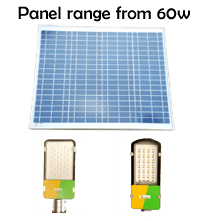 Glazer provides Solar street lights to its customers with pre designed models and as per the requirement of the customers. Glazer carefully selects the components within a street light so that the product is durable throughout a long time. Solar street lights reduce the harness of lengthy wiring of wire cables thus reducing the possibility of power leakage in the walking area. Pole Size 15 Ft. 17 Ft. 20 Ft. 20 Ft.